Rated 4 out of 5 by einiespal from Good game This is a fairly simple and fun game. It is long, too, with many locations. The story is good and is well-told with a journal. The HOS are simple and the puzzles are mostly the usual. There isn't a map, but you really don't need one. The HINT button works well, but it is a slow charger. There aren't any bells and whistles, but the game is well-designed and fun to play. Rated 4 out of 5 by LynFrank from ALMOST THERE The reason I titled my review as ALMOST THERE is because this game had almost all things done well. The two main things I had trouble with was the hidden object scenes were a little 'foggy' and when I was constructing something by a well, the written comments, when I made the wrong move, were in a different language. I didn't mind that there was no voice overs and the help hints were really good! The graphics were well done and the colours suited the atmosphere. Enjoyable to play. 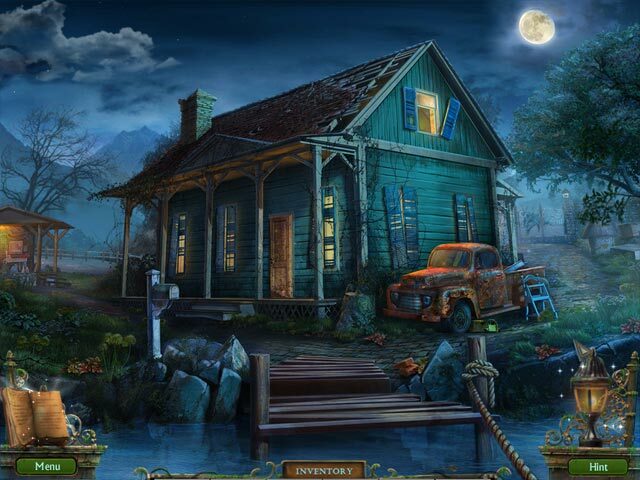 Rated 4 out of 5 by Patlee123 from Fun Hidden Objects Game Good time passer. Hope I am able to finish this before to long. Graphics are good but sometimes it takes a while to find the objects that you are looking for. A little more light on the locations would be a help. Rated 4 out of 5 by Stephgusa0622 from Decent I am more of a TM girl, but I figured I would give this hidden objects game a go, not bad. I don't play Hidden Object games because I have the tendency of getting bored with them very quickly, but this game is pretty decent, there isn't a lot of dialogue which I like, it wastes a lot of time sometimes. Rated 4 out of 5 by sportygal2009 from No Bells Or Whistles Here Just A Good Game - Review Of Completed Game STORYLINE: Well I was hooked to this game immediately. The opening scene with the distraught mother pleading for help from a detective (Brenda Livingston) to find her son that has gone missing from summer camp. Several other children have gone missing as well. The story is also mainly told through the journal reading that. VISUAL/SOUND QUALITY: The graphics will definitely be "too dated" or "too old school" for some people however for me quite good. I had no problem with them. There are no voice overs to this game which I do think would of added so much more to this game along with more character interaction. The music did give me a bit of the creepy/eerie feeling but I do think this could of been bumped up just a notch more. GAME PLAY: While I don't much care for puzzles/mini games for the most part as I prefer adventure/HOS however for me this was well balanced. LEVEL OF CHALLENGE There are 2 play modes and I played the harder of the two. : While there were sparkles on a couple of the HOS as I'm not sure what happened here as there weren't suppose to be any and there is also black bar tips which I wish there wouldn't of been any of those either however level of challenge for me was still good. The "adventure" part made up for this for me since there is no map HOS: These are all found by standard word list. There is no interaction The scenes are also visited twice.. Most I located with no difficulty at all however a few very small/tiny so had to use a few hints here. Hint is directional outside of HOS however have to wait for it to charge up again as most games you can keep pressing the hint until you get to where you have something to do. This is also slow on charge up and so is the skip. PUZZLES/MINI GAMES: These are the usual run of the mill found in many games. A few have to refer to the journal to solve them. I did most of them but skipped a couple. FUN FACTOR: Overall even though this has a few flaws I still enjoyed the 3 1/2 hours I spent playing this but I must say seemed longer than that. I'm quite satisfied with the game length. This was well worth the use of my punch card coupon code. This for me had a lot to do and places to go. Also while the ending definitely does come to conclusion and isn't necessary however looks to be open for a sequel. Whether or not there will be one time will tell. Thanks Big Fish and Developer for an overall good game. Truth be told I found this to be better than most of the CE games you've released here lately. A 4 stars from me. It's nice to see a stand alone SE with no bells or whistles that being achievements/collectibles and especially them animal helpers. A HUGE KUDOS here for NO animal helpers. More SE releases like this one Big Fish... PLEASE! Rated 4 out of 5 by tucker_ratdog from Not Going To This Camp!!! Based only on the trial, yet good enough for me to buy! First of all I am a fan of the Devs, they do turn out quality game after game and yet not always a blockbuster at that. There just seems to be a certain subtlety about the way they do things that deviates from the norm. I like that, it makes for individuality versus competition. Now on to the game itself. Wonderful full screen attraction, graphics good for the most part but in spots seemed grainy. I was not put off by that because combining it with the music seemed to create the atmosphere the Devs wanted to impart. Lots of HOS and Puzzles but a variety in the challenges for both. Storyline not new particularly but presented in a way that captures your attention and wants you to go forward. To me just a wonderful SE game without the bells & whistles and yet has the ability to pull you in. Don't pass this one by. Rated 4 out of 5 by tesamoine from Basic but fun game I really enjoyed this one. I am a huge fan of stand alone SE releases and this one is no exception. I love the games by this developer. This is a bare bones game. You will not get any extras so to speak. However, it is basically a HOP driven game with some very easy puzzles and some adventure. A beginner would be very comfortable with this one. What pulled me in was the great story line. I love great spooky tales. The atmosphere is just right, dark, deserted camp, etc. This one gets the 4th star from me for the story itself. As far as graphics, visuals, voice overs (there are none), it would be a 3 star game. It is quite lengthy also. Give it a try, you may enjoy it. Rated 4 out of 5 by whitlockbrenda from Wicked witch I was looking for a game to pass time. this was a good game with a good story. It was easy to move through the scenes. Rated 4 out of 5 by janmo8225 from Like it Could see objects and a lot of HOG. Like it. Rated 4 out of 5 by haro_chik from Great game! There's some areas of the game that needs some fine tuning such as in the begining when you are trying to locate the 'plane' in the back of the ute, it took me five minutes to be able to click on it before the game realised I had the right object. Otherwise, the game is pretty good, great storyline! Rated 3 out of 5 by eponym from Easy & Short I am glad I used a BF game coupon for this. It was a decent game, mostly enjoyable. There were a few translation errors but it was easy enough to understand. The graphics are grainy which normally bothers me but seemed apt in this instance. I do not usually like to use hints but I felt as if I was walking all over the place at time. I found the hint button less than helpful and I was playing casual! Rated 3 out of 5 by Cherubabies from Frustrating ... This Game had potential - an interesting Storyline based on Eastern European Folklore - but no Map and a virtually useless Hint Button made the Game frustrating. The Hint Button takes way TOO LONG to charge, even in Casual Mode - and in this Game showing you the Direction where to go next counts as a "Hint." Ridiculous! That makes the Game SLOW and frustrating. Will definitely NOT be playing this again! Rated 3 out of 5 by teale4ever from REALLY NEED A MAP FEATURE I can't say interested in this game for very long a time, only keep going back so I can complete it and delete it. It really needs a map feature that tells you where the action is and tele-port you there. The HOS are good, and the graphics are good but I don't know what I am supposed to do or where I am supposed to do it....help is no help either. 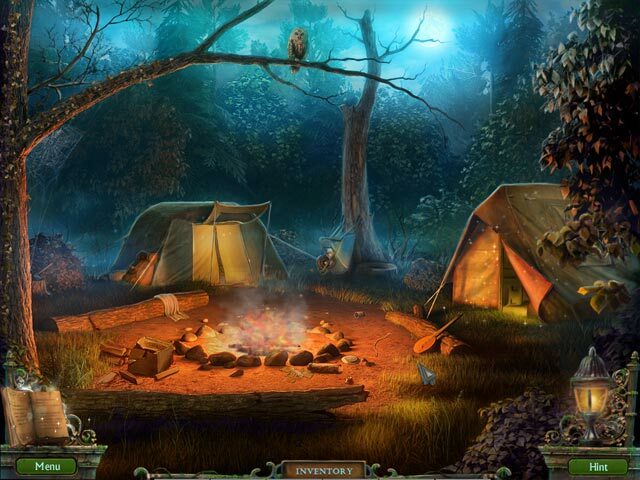 Rated 3 out of 5 by Nilosh from Spooky Story, Easy Game Shtriga: Summer Camp is an ideal game for beginners who have yet to dive into the HOPA genre and fans of Hidden Object games who enjoy the classics. Our story today is a creepy one with dark and grainy graphics that actually enhance the overall atmosphere of the game. As Brenda Livingston, you are asked to help find a missing boy who disappeared under some rather mysterious circumstances from camp. He is not the only one to have vanished and apparently several other children and adults have been stricken with an illness. The camp is locked down and its premises become your searching ground and clues seem to be leading you to a dead witch that seems to be out for vengeance. I actually loved the artwork but have to admit that graphics are dated as are the animations. Still, the overall atmosphere with the spooky music makes for an entertaining game. There are voice-overs, tools or maps that will help you except for a journal. 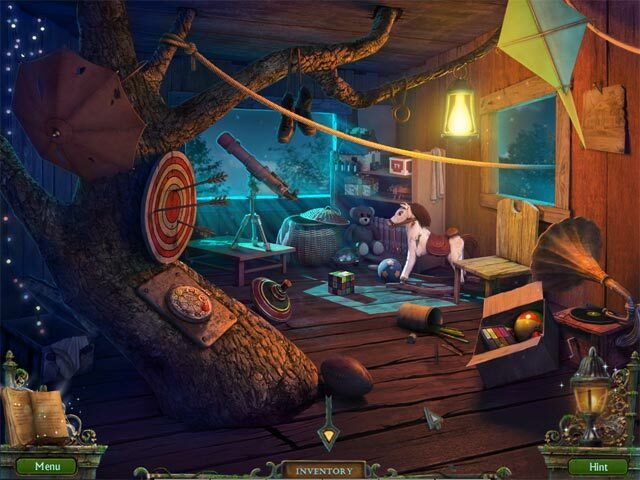 The hint system is only directional and works faintly within the Hidden object scenes, and there are plenty hidden object scenes to appease appetites of HOG fan; all standard with a list of objects and no interactions. If you are looking for challenging puzzles and mini-games, there are none to be found here, all very standard and all very easy to solve. So what exactly is appealing about this game? Nothing really that stands out except for the brooding atmosphere and the sinister storyline. It is either from the archive or just from new developers who have tight budgets and a yen for the classics. Shtriga is not a bad game at all and to be honest, I enjoyed the basic game play so far, I just don’t think it is worth paying for. I recommend you use a left over game credit if you do enjoy a spooky camp time story with haunting music and murky scenes and are a fan of the Hidden OPbject game. I am sure there will be some who give this game 5 stars but to be honest, at best, it gets only three stars from me and that is because I sometimes enjoy the classics. However I am in no hurry to buy. Rated 3 out of 5 by JustTheFacts from Enjoyable, But Basic BASED ON DEMO FIRST IMPRESSIONS This is another no frills standalone SE. There are no exciting intros, no voiceovers, no fancy graphics or multiple and varied HOPs. It is just a very ordinary, easy game, with an emphasis on HOPs, and an intriguing story line. SIGHTS & SOUNDS Graphics in the locations and cut-scenes are low definition and poor quality. Scenes are blurry. I can see the edges where items have been copied and pasted in. The HOPs are much better, but the art style is still very rudimentary and lacking in detail. The music I really like. It is set down low and consists of fairly simple pieces that seem to waft in and out. As an atmosphere-creator it is excellent. The ambient sound works in much the same way. WHAT’S HAPPENING? Missing children, a mysterious and sometimes fatal epidemic at summer camp, a black cat that morphs into a witch-like old woman, what do they all mean? Well, you’ve been hired by the mother of one of the missing kids to find out. 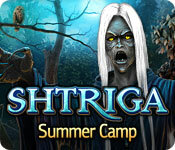 The camp is deserted, and so you must break in, find your way around and get some answers. You watch some totally inexplicable piece of vintage film (if it’s meant to hold backstory, I can’t make out what). Then, you see your first ghost. GAMEPLAY Strictly limited HOPA. Most of the game is wandering around picking up inventory items for puzzles and doors (many more of the latter than the former), particularly by way of HOPs. These are standard word lists, no interaction and no animation. There are some that are a little dark, and some where the item hot spots were so particular, it almost drove me nuts. Some are also visited twice. But they are clear, and while occasionally an item is hidden behind another, at least the front one will be on your list too. The items are quite large and the scenes not overly junky. Note: there is a misclick penalty! The other puzzles are fairly rare and fairly easy. So is getting around. There is no map except the most basic giving you the layout of the camp, and it is in the journal. Hint is directional, but watch out! It drains your meter and you must wait for a refill. I found the game sufficiently easy that it was not a major handicap. There are 2 levels of difficulty. COMBINED IMPACT Definitely the kind of game we used to see more often in the past, it is almost a HOG, but there’s just enough adventure gameplay to make it more interesting than that. Although dark in theme and look, it is not really spooky or even eerie. I found myself enjoying the game nevertheless, and on sale, I will pick it up in a heartbeat. Rated 2 out of 5 by abateau from So awful I couldn't continue I play all types of games but this one was one of the worst. The graphics leave much to be desired, there is no map available and the story line is weak. I got bored and uninstalled the game. Rated 2 out of 5 by Nojhog from Don't Pay Real Money for This The story is boring and the ghost that keeps appearing isn't scary or interesting in any way The HOS's are a joke. Half way through the game the lists quit showing up and I still got through them in under 30 seconds by just randomly clicking on objects! Some of the puzzles were interesting. You will use the hint button often to find out what you are supposed to do next. There are a lot of games that are fun to play. This game is not one of them. I would suggest that you try something else. Rated 2 out of 5 by Tufty57 from Contrived scariness and washed out graphics do not make an exciting game So often these soft releases are gems so I tried it with some hopeful anticipation. All too soon my hopes were dashed. * No voices on the dialogues so did not identify with any of the characters. * Washed out colour made everything difficult to see. * Old school HOSs with simple lists and tiny, tiny objects to find * No map, but lots of back and forth. * Dull background music All in all, it felt like I had gone back a few years. Where has this game been dredged up from? I wouldn't even recommend it for beginners as it is so frustrating with little entertainment value. If you are really desperate to use a coupon before expiry, give it a try, but do not waste your money! Rated 1 out of 5 by Queen_Mab from Might be Okay for Someone New to HOS I would point out that I was looking to this game as a possible for my freebie which means that I am rejecting it and it would have cost me nothing. It is simply terrible. Maybe it doesn't help that I played the new Nevertales right before it but the graphics we deplorable, the directionality arrows irked me and the inability to lock the inventory was vexing. To top that, the HOS was something I might find on a .99 IPad game. The items were badly placed in, looked horrible and the items were hard to distinguish. Also, the puzzles (well, the one I played before I quit) was out of place, it just wouldn't exist in a car. I know that really no puzzle really makes sense but this was pushing it. It might be okay with a new player (although I hope not cause it might turn them off of HOS for life) but I have been playing for 5 years so this kind of angered me. I actually expect better quality from BF. DO NOT get this game unless you don't care about quality. Its like a B Movie (something form the Asylum). Rated 1 out of 5 by castocabin from BORING! I don't usually leave reviews but this one was SO BAD, don't waste your money or your credits!